MPECS Inc. Blog: Mac on SBS - Locking that "Screen"
We are so used to CTRL+ALT+Delete then Lock here in the shop that it was a bit puzzling that a quick method to lock the iMac was seemingly missing. Once we figured out what we needed to be looking for, it was a pretty quick fix. We needed to turn on a little lock icon that appears in the menu bar (at the top of the Mac's screen). Click on the Utilities folder. 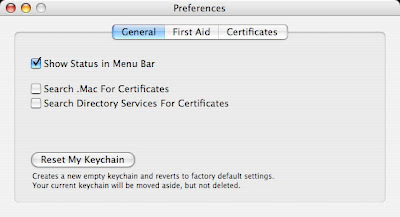 Click on Keychain Access in the Menu Bar and go to Preferences. Put a tick mark beside "Show Status in Menu Bar". Close the Keychain preferences window. A little lock appears on the Menu bar. Click on the "Lock Screen" to start the screen saver. Now, we have set a password to every user account that has access to this iMac. All of the user accounts should have user passwords set to them. With these steps in place, we are free to walk away from any work we may be doing on the iMac once we "lock the screen". Remember, if you need to walk away from the computer for more than 10 minutes it is always a good idea to save and close the work being done. Just in case! 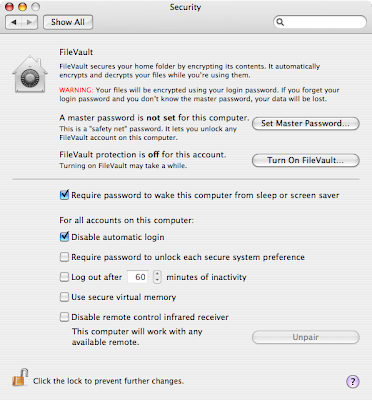 Thanks to SurfBits: Leaving your Mac unattended? Here is a quick tip to lock it up.